In our last newsletter, we began an exploration of the endocrine system by examining the three endocrine glands in the brain: the hypothalamus, the pituitary, and the pineal gland. In this issue, we move down the body to examine the five endocrine glands found in the neck: the thyroid and the four parathyroid glands. The thyroid gland regulates the rate and intensity of the body's chemical/metabolic reactions, and the parathyroid glands regulate the amount of calcium and phosphorus in the blood. As it turns out, malfunctions in these glands are not that uncommon, can produce serious problems such as over excitement of the muscle and nervous systems, bony demineralization, high calcium levels, duodenal ulcers, kidney stones, and behavioral disorders. And if left unchecked, they can kill you. Fortunately, there are things you can do to minimize the chances of these problems occurring in the first place, or relieving them through alternative means if you get them. With that in mind, let's begin by looking at the thyroid gland. In essence, the thyroid gland is the thermostat of the body. It regulates both the rate and intensity of chemical/metabolic processes. It is one of the largest endocrine glands in the body and specifically controls how quickly the body uses energy, how it makes proteins, and the body's sensitivity to other hormones. The function of the thyroid gland is to take iodine and convert it into thyroid hormones -- primarily, thyroxine (T4) and triiodothyronine (T3). Normal thyroid cells accumulate and retain iodide far, far more efficiently than do any other cells in the body. Most cells don't absorb iodine at all, but some, including thyroid cancer cells and breast epithelial cells, can to a limited degree. Thyroid cells combine iodine and the amino acid tyrosine (as bound to thyroglobulin) to make T3 and T4. (We will cover this process in more detail a little later.) T3 and T4 are then released into the bloodstream and transported throughout the body, where they control metabolism (i.e., the conversion of oxygen and calories to energy). Every cell in the body depends upon thyroid hormones for regulation of their metabolism. Anatomically speaking, the thyroid is a butterfly shaped gland (two larger lobes connected by a narrower isthmus) located between the Adam's apple and the clavicle. When viewed from the front of the body, the thyroid totally covers the trachea. Nevertheless, a normal thyroid gland cannot be felt externally. If a doctor can "see" it or "feel" it when touching the neck with his fingers, it's enlarged. Under normal circumstances, it's soft and flat. Not surprisingly for such an important organ, it is richly serviced by multiple arteries and veins, which makes surgery on the thyroid that much more difficult. In addition, surgeons face further complications since the nerves that service the vocal cords run right next to the arteries that provide blood to the thyroid. Bottom line is that the thyroid is intricately entwined with key nerves and blood vessels. And it's not just surgery on the thyroid that presents problems. Tracheotomies, for example, must be performed either above or below the thyroid gland. It is also the main reason doctors prefer to "kill" the thyroid with radioactive iodine rather than remove it surgically (a procedure we will talk more about later). On the outside circumference of the follicles are the cuboidal follicular cells. The follicular cells produce two iodine based compounds, thyroxine (tetraiodothyronine, also known as T4) and triiodothyronine (also known as T3). On the inside circumference, or lumen of the follicle, is a brush border composed of hairlike extensions (not visible in the slide below). This allows for the easy deposit and removal of key hormonal components into the follicular lumen (see slide below) as required for production of T3 and T4. The parafollicular cells (C cells) sit scattered about the outer edge of the follicles on top of the follicular cells and produce calcitonin, a minor regulator of calcium in the body. Thyroglobulin is a protein (not a hormone) produced by the thyroid. It is synthesized from amino acids and iodide and stored in the follicular lumen as colloid and used entirely within the thyroid gland in the production of the thyroid hormones. T3 (triiodothyronine) affects almost every physiological process in the body, including growth and development, metabolism, body temperature, and heart rate. Production of T3 and its prohormone, T4 (T3 is actually produced by the breakdown/conversion of T4), is activated by thyroid-stimulating hormone (TSH), which is released from the pituitary gland. As a side note, the 3 in its name refers to the fact that it contains 3 iodine atoms. T4 (thyroxine, AKA tetraiodothyronine) is the prohormone from which the body extracts T3. It is synthesized from residues of the amino acid tyrosine, found in thyroglobulin. Every cell in the body depends upon the thyroid hormones T3 and T4 for regulation of their metabolism. The normal thyroid gland produces about 80% T4 and about 20% T3. However, T3 is about four times "stronger" than T4. T4 is converted to T3 in body cells. This allows the body to fine tune the metabolic regulating capabilities of T3 and T4. As with T3, the 4 in T4's name refers to the fact that T4 contains 4 iodine atoms. Calcitonin is produced in the parafollicular cells and regulates calcium levels in the blood (to a minor degree), along with the parathyroid glands (the main regulator). It lowers blood calcium and phosphorus by decreasing the rate of re-absorption of these minerals from bone. As we discussed previously, thyroid chemistry is an iodine-based chemistry; iodine must be ingested because it can't be manufactured in the body; it is an element, not a compound. In fact, follicular cells actively trap virtually all iodine/iodide molecules in the body. Any iodine you ingest is trapped exclusively by cells in the thyroid to be used for manufacturing thyroglobulin and, ultimately, T3 and T4. This fact is exploited by endocrinologists when it comes to treating several thyroid disorders. (We will talk more about this later.) If iodine is not present in sufficient amounts, the body will develop a benign goiter (enlargement of the thyroid) over time. It is common in areas where iodine does not naturally occur in food. In the early 1900's, Western countries began adding iodine to salt to combat this problem. And it worked, in the sense that goiters are now uncommon in the Western world. But using iodized salt presents its own problems. Surprisingly, a number of "older" societies recognized the connection between iodine and goiters. The ancient Greeks, for example, consumed iodine-rich seaweed to successfully combat goiters -- without the problems associated with iodized salt. Sometimes grandma really does know best. As seen in the slide above, the thyroid stores something called colloid (which is manufactured in the follicular cells) in the center (lumen) of the follicles in large quantities. Although colloid contains some T3 and T4, it is primarily comprised of thyroglobulin, which is converted to T3 and T4 and released into the body when triggered by thyroid stimulating hormone (TSH), released by the pituitary. In fact, a healthy thyroid stores about a three-month supply of thyroglobulin at any given moment in time. As we touched on in our last newsletter, thyroid-stimulating hormone (TSH) from the anterior pituitary regulates the processes via a negative feedback loop. That is to say, thyroid releasing hormone (TRH) from the hypothalamus stimulates the pituitary to release TSH into the bloodstream, which stimulates thyroid follicular cells to add iodine to the amino-acid (tyrosine) component of thyroglobulin (which, once again, is stored as colloid within the lumen of the thyroid follicles). Once converted, the T3 and T4 hormones are released into the bloodstream. This arrangement essentially works as a reserve system for thyroid hormones, allowing it to release active hormones into the body on an as needed basis. As more thyroid hormones are produced, blood levels of T3 and T4 rise. Ultimately, these hormones make their way through the bloodstream back to the hypothalamus, telling the hypothalamus that enough is enough and to stop releasing TRH, which stops the pituitary from releasing TSH -- shutting down the cycle. It should be noted that the thyroid hormones are slow acting. Unlike adrenalin, for example, it takes awhile for anything to happen with thyroid hormones. Oxygen uptake (they up regulate it). Gross basal metabolic rate (they up regulate it). Intracellular metabolism (microscopic protein synthesis, lipid breakdown, and cholesterol breakdown.) Patients who are hypothyroid, for example, will have higher levels of cholesterol in the blood because of reduced thyroid up regulation. Patients who are hyperthyroid will often be thin and have lower levels because of too much up regulation. Growth and development; that is, body growth rate and nervous system development. Thyroid hormones also enhance the effects of catecholamines, accounting for high blood pressure, nervousness, sweating, and fast heart rate in hyperthyroid patients. Iodide (I-) ions circulating in the blood are actively taken into follicular cells through capillaries and become trapped in the endoplasmic reticulum inside the follicular cells. Once iodine is present, the follicles begin synthesizing thyroglobulin. Vesicles (small transport membranes) transport some of the iodide further into the follicles, where it is combined with thyroglobulin to produce the amino acid tyrosine. This combination of thyroglobulin and tyrosine is bound into colloid, which can be transformed into T3 and T4 as needed. Incidentally, the thyroid's ability to trap iodine can be used clinically. Low levels of radioactive iodine (I-131), combined with x-ray exposure, can map thyroid function. Theoretically, if doctors give a hypothyroid patient some synthetic thyroid hormones, they're not too concerned if they give a little too much, since the negative feedback loop will pick up the extra hormone in the blood and stop the pituitary from releasing more TSH. If they give too little, the functioning cells in the thyroid will be stimulated to release enough to "top" levels off. But that assumes that there's still some functioning thyroid cells in the neck to respond to stimulation if necessary. If the thyroid has been surgically removed or killed off by I-131 irradiation, then there is no self-regulatory mechanism. Trying to mechanically balance thyroid levels with pharmaceuticals at that point is almost impossible, and people are forced to live the rest of their lives in a borderline psychotic state. It was for that reason that Kristen chose a natural solution. Cancerous cells will not trap iodine when normal thyroid tissue is present. Tumors must be surgically removed or thyroid tissue must be destroyed with higher levels of I-131, before I-131 can be re-administered to destroy cancerous thyroid cells. The two main types of thyroid disease fall into hyperthyroidism (Graves' disease), and hypothyroidism (Hashimoto's thyroiditis). Hyperthyroidism causes increased heart rate, increased blood pressure, high body temperature and sweating, nervousness, diarrhea, heat intolerance, and weight loss despite high caloric intake. In other words, the metabolic processes are up regulated to dangerous levels. Also, it can lead to severe neurotic behavior. Graves' disease, a specific form of hyperthyroidism, is an autoimmune disorder in which antibodies mimic the effects of TSH but are not constrained by the negative feedback system for turn-off and control; thus, they continue to drive the thyroid to release stimulating T3 and T4 hormones without letup. This disease causes goiter, enlargement of the thyroid, and exophthalmos (bulging eyeballs caused by the build-up of fat behind the eye). Curing the diseases (often involving the destruction or removal of the thyroid followed by the lifelong administration of synthetic hormones) may not cure exophthalmos, which may leave the eyes open to injury. When talking about Graves' disease and bulging eyes, the late actor, Marty Feldman almost immediately comes to mind. Dr. Lee covers hypothyroidism in What Your Doctor May Not Tell You about Menopause. First, he points out that thyroid problems are far more common in women than in men -- a strong indicator that we're dealing with an estrogen issue. Then he points out that for most women, when they start using progesterone crème, their need for thyroid supplements is greatly reduced -- and often even eliminated. Note: just because it is more common in women, does not mean that men cannot have estrogen problems also -- caused by exposure to chemical estrogens. If you suffer from hypothyroidism, removing your thyroid or blasting it with radiation or trying to balance it out with synthetic medication are not your only options. There are natural progesterone crèmes (for both men and women), which easily can be found by searching the net. Also, immunomodulators such as cetyl-myristoleate and L-carnosine might make sense in case the problem is associated with an autoimmune disorder. And finally, thyroid extracts such as Standard Process' Thytrophin PMG can be helpful in rebuilding lost thyroid function. The four parathyroid ("beside the thyroid") glands are located on both sides of the thyroid but have functions totally unrelated to the thyroid. This physical relationship of the parathyroids to the thyroid is typical of the endocrine system. Last issue we saw that the pituitary, although extremely small, is comprised of two parts -- anterior and posterior -- that have totally unrelated functions, that develop out of entirely different parts of the body despite their close proximity, and that are for all intents and purposes entirely separate glands. When we explore the adrenals, we will see the same disparate relationship between the adrenal cortex and the adrenal medulla. The bottom line is that the only connection the parathyroids have with the thyroid is their physical location. Specifically, the parathyroid glands are located behind the thyroid, and they are intimately connected to the covering of the thyroid gland. There are two on each side. They are supplied by the same blood vessels that supply the thyroid. Each parathyroid is about the size of a large kernel of rice. They can be extremely difficult for surgeons to locate and identify. And something that can make the job even harder is that the parathyroid glands sometimes "disengage" from the thyroid gland and migrate down into the chest cavity, making them difficult to find and remove. So what do the parathyroids do? The chief cells (principal cells) produce parathormone (PTH, parathyroid hormone). The oxyphil cells produce…???? In fact, the function of the oxyphil cells is as yet unknown. PTH has one simple function. It regulates the levels of calcium and phosphorus in the blood. It accomplishes this by increasing the cells of the bone (osteoclasts), which reabsorb calcium. 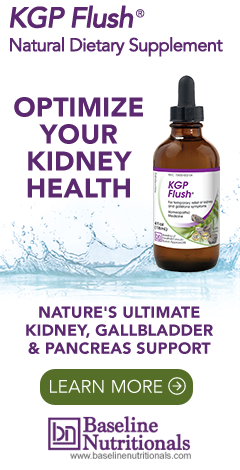 It also increases urinary re-absorption of calcium by the kidneys. In addition, it causes the kidneys to form calcitrol, a hormone made from vitamin D that increases absorption of calcium from the GI tract. And finally, it increases excretion of phosphorus by the kidneys (which, in turn increases calcium levels). Calcium and phosphorus always go in opposite directions -- in a defined relationship called the solubility constant. Bottom line: parathormone increases calcium levels. Note: Calcitonin (from the thyroid gland) participates in the negative feedback system that regulates the parathyroids by forcing calcium back into the bones. Hyperparathyroidism refers to increased PTH production, usually because of a benign tumor of one or more of the parathyroid glands (parathyroid adenoma). If PTH is produced in excess, calcium is reabsorbed from the kidneys, bones, and stomach back into the blood. This leads to a condition that many endocrinologists call "Stones, bones, groans, and moans." This terminology refers to the classic set of four symptoms associated with hyperparathyroidism: kidney stones, de-mineralized bones (osteoporosis), groans of pain from intestinal distress (including duodenal ulcers), and the moans of psychosis. Hyperparathyroidism is almost always caused by parathyroid adenoma. Removing a parathyroid adenoma, a fairly simple surgery, can cause an immediate and drastic return to normal function and the disappearance of all symptoms. Another form of hyperparathyroidism is called parathyroid hyperpiesia, in which all four parathyroid glands overproduce PTH for no obvious reason. In other words, there is no adenoma causing the problem. Surgeons usually attempt to fix the problem by removing most of the parathyroid glands. On the other hand, if the surgeon makes a mistake and removes too much (or all) of the parathyroid tissue by accident, you can end up with hypoparathyroidism. Hypoparathyroidism leads to low serum calcium levels and an elevated state of excitement for nerves and muscles, resulting in twitching and over-activity of the muscular and nervous systems. In the extreme, this can lead to convulsions and death. Again, it is caused primarily by inadvertent surgical removal. This is an extremely difficult condition to live with, as it is almost impossible to self regulate. Fortunately, there is one medical alternative that works in some cases…if the surgeon recognizes the error in time. Removed parathyroid glands can be chopped up and implanted into muscle tissue in other areas of the body (such as the forearm), where sometimes, they will survive and start producing PTH again. If that doesn't work, hypoparathyroid patients require lifelong calcium and vitamin D injections, which are almost impossible to manage accurately. When it comes to maintaining the health of the thyroid and parathyroid glands, you want to address several key issues. By using immunomodulators such as L-carnosine, Cetyl-myristoleate (CMO), and the Transfer Factor found in bovine colostrum, you can retrain the immune system to not overreact -- which, as we've seen is one of the biggest factors associated with the onset of thyroid problems. Constant exposure to chemical estrogens in our food, water, and environment creates a condition called estrogen dominance in both men and women. (Consider the fact that the average man by the age of 65 contains more estrogen than the average woman of the same age -- the reason so many men develop breasts as they age.) In any case, the regular use of a men's or women's progesterone crème is advisable -- not to mention their value in minimizing serious prostate, breast, and uterine problems. Again, if you're not using iodized salt (and there are good reasons not to), you need to make sure you're getting iodine in your food, or you're using a supplement that contains your daily requirement for iodine (about 150 mcg a day). Seaweed, kelp, shrimp, lobster, and other shellfish are all good sources of iodine. Cod, sole, haddock, and ocean perch are also decent choices, and they are relatively low in mercury. Yogurt, cow's milk, eggs, and many cheeses may also contain reasonable amounts of iodine -- depending on whether or not the feed the cows lived on was grown in soil that contained iodine. Strict vegetarians may need to rely on supplemental sources, unless the produce they eat is grown in iodine rich soil. Extracts derived from bovine thyroid glands can provide critical cell factors that help re-establish normal cell function. Check out Standard Process' Thytrophin PMG. Proper pH is required for the thyroid to access and utilize iodine. In fact, the higher the pH, the more iodine that accumulates in the thyroid, as the thyroid uses the iodine, as part of an exchange mechanism to regulate thyroid pH. pH can be raised using alkaline teas, potassium based water drops, and water ionizers. In our next issue, we'll move on down the body into the pancreas. In our previous newsletters on the digestive system, we explored the pancreas' production of digestive enzymes. But the pancreas has two distinct functions in the body. In addition to producing digestive juices, it also is part of the endocrine system and produces several key hormones, most notably insulin and ghrelin (the appetite hormone). We will explore those hormones in our next newsletter. I HAVE HAD MY THYROID AND 3 OUT OF 4 PARA-THYROID GLANDS REMOVED. 4TH PARA-THYROID GLAND HAD TUMOR PARTS REMOVED AND THEN IMPLANTED INTO MY CHEST. I TOO CANNOT GET GOOD RESULTS FROM MEDICATION SUPPLEMENTS REQUIRED TO TAKE BY PHYSICIAN. IT HAS BEEN HARD FOR ME AS WELL. YOU ARE NOT THE ONLY ONE IN THIS BOAT AND I CERTAINLY KNOW HOW YOU ARE FEELING. IF YOU HAVE FOUND ANYTHING THAT WORKS FOR YOU IN GETTING RID OF SIDE EFFECTS: NUMBNESS, FATIGE (TIRED ALL THE TIME), NIGHT SWEETS AND ALOT OF OTHER ISSUES, I WOULD APPRECIATE YOUR INPUT. IF YOU HAVE FOUND A GOOD DIET (NOT TO LOOSE WEIGHT ,JUST TO MAINTAIN IT) OF THINGS THAT WE CAN EAT I WOULD CERTAINLY APPRECIATE THAT INPUT AS WELL. I AM SO TIRED OF CHICKEN AND FRESH VEGETABLES (STEAMED ONLY) ANY SUGGESTIONS WOULD AGAIN BE GREATLY APPRECIATED. THE DOCTORS DON'T TELL YOU ABOUT ALL THE SIDE EFFECTS THEY JUST WANT TO DO THE OPERATION AND MAKE MONEY (BOTH THE DOCTOR AND HOSPITALS). THE SIDE EFFECTS ARE WORSE THEN THE ORIGINAL CONDITION. IF YOU KNOW OF ANY OTHER ARTICLES THAT I COULD READ UP ON THAT AGAIN WOULD BE HELPFUL. JUST WANTED YOU TO KNOW YOUR NOT THE ONLY ONE IN THIS BOAT. AND IT IS VERY HARD TO DEAL WITH AND I AGREE "I JUST DON'T KNOW WHAT TO DO ANYMORE". Go to dr morse on youtube. I hope that helps you. Hello, My son has Alopecia Areata an Autoimmune do you believe that transfer factors could work well for my son, to help regulate my child's immune system. For obvious legal reasons, we cannot diagnose or prescribe for specific medical conditions—merely provide information. With that in mind…Alopecia areata appears to have both a genetic component and an immune system component. Obviously, no supplement can address any genetic aspects of an illness, but as the article above mentions. L-caronsine, Cetyl myristoleate, and Transfer Factor all function as immune system modulators that can help to throttle back an overactive immune system. In fact, Transfer Factor is used to treat atopic dermatitis, an autoimmune condition. You might want to explore with your son’s doctor the possibility of using all three immunomodulators in combination to see if they can help. You also might want to ask the doctor about using proteolytic enzymes too, since they can help reduce circulating immune complexes that can contribute to autoimmune conditions. I recently started taking thytrophin pmg. I feel great, but learned that my antibodies doubled since beginning this product. Have you seen this before? Should I continue use? Child birth has not only depleted your Magnesium, but your iron as well and then more... Search FB for Magnesium Advocacy Group, join us, you will get help from the site. We all have health issues of many years duration, we can help each other and then from 34K more very knowledgable members including health professionals.. I feel for you. Good Luck. This is a very interesting article For immune modulation how long do people usually use cetyl-myristoleate and or L-carnosine? And for thyroid autoimmune like hashimoto's how long do people usually use the Thryrotrophin PMG. I find all of your articles very educational.. Thank you so much too as the reading keeps our brains working in tip top shape. Cetyl-myristoleate, L-carnosine, and Thytrophin-PMG, unless you are having any side effects that would indicate otherwise, can all be used for as long as needed or desired. Thank you BaselineFoundation for your input on my question. However I was leaning towards a more definitive educational answer from Jon Barron. I hope this will be forthcoming. Again I thank you for your consideration. What can be done about recurring primary hyperparthyroidism, other than surgery? I had an adenoma on a parathyroid 16 years ago. Then also the thyroid was resected for papillary-follicular cancer. Only 1 parathyroid is left and now malfunctioning, can be an adenoma again. Is there a homeopathic remedy, PARATHYRODINUM that can help, or Chinese herbs? For obvious legal reasons, we can neither diagnose or prescribe for specific medical conditions—merely provide information, with that in mind, the follow link might be useful. I had my thyroid removed because of Graves disease. I now take levothyroxine 125mcg as a replacement. Even withe replacement I was always tired and cranky. I started epidural steroid injections because of bulging and herniated discs and fibromyalgia pain. I have energy after the injection but I know I can't continue getting them forever. I used to drink an entire pot of coffee daily and get b-12 injections and still had low energy levels. Any suggestions for energy boosts other than what I mentioned. I have started drinking smoothies with lots of fruits and vegetables. Sometimes I feel better and sometimes not. What else can I do? When your body is producing its own thyroid hormones, they are constantly being regulated minute-by-minute to continually maintain optimal balance. When you remove the thyroid and take pharmaceutical hormones, that can’t happen—so your thyroid hormone levels are going to be out of balance for most of the day—sometimes too high, sometimes too low. That you can’t fix—although a good endocrinologist can work with you to get your synthetic hormones closer to balance. You also might want to get some easily digested protein into your smoothies. If you’re short of protein during the day, that can contribute to feelings of weakness and exhaustion. Proper pH is required for the thyroid to access and utilize iodine. In fact, the higher the pH, the more iodine that accumulates in the thyroid, as the thyroid uses the iodine, as part of an exchange mechanism to regulate thyroid pH. pH can be raised using alkaline teas, potassium based water drops, and water ionizers." I am a small backyard operation that uses all natural means to keep my birds healthy. Acidifying the drinking water has become very popular as a means to control gram negative bacteria populations in the gut, such as Salmonella, Clostridia, Entrococcus, Campylobacter and Escherichia coli. Some breeders are acidifying the water nearly every day. Now anything is better than preventative usage of antibiotics, which had been a staple, until more natural methods became popular, but is there a downside to the regular use of acidifiers (organic acids, apple cider vinegar, etc.) ? And, would this effect thyroid functionality in such a way that inhibits health or immune-response, in the birds?